Usually you need to supply 2 or 3 tax returns to your mortgage broker. We got you covered. You probably need one tax return for yourself and maybe one from your parents too. Need to know if you actually mailed your tax return in? Maybe your tax preparer never efiled your tax return? Either way, you need to know and we tell you when the IRS doesn't have a tax return on file. We provide you with an IRS letter. Same price. You want to know what the IRS has on file for you? Or need W2s and 1099s to do your tax return? We can provide all three. Situation: Yesterday, I found myself in quite a predicament when I couldn’t get in contact with my old accountant. Turns out his office had closed business just when I needed him to give me a copy tax return to refinance my home. I had been careless and hadn’t saved a copy, and had never been really bothered that I hadn’t because I always thought my CPA was my backup for copy past tax return and my insurance for that… too bad I was wrong. So what do you do if you find yourself in a similar case and your tax coach is missing in action? Situation: I recently relocated to be closer to my family and my loved ones, but realized that I threw away my last year’s copy tax return. I thought for some reason I wouldn’t need it, and how my tax preparer is far away and not picking up. My son is going to college and applying for financial aid-I need it to help him get settled here and so I have a piece of mind. How do I get a copy old tax return quickly and securely? Situation: My family and I just went through a harrowing ordeal of losing our home to a brush fire. Everyone is safe and no one was hurt, but now I have to build my life all over from scratch and I don’t even know where to begin. I know I need to get my finances together and to do that I need a copy tax returns. I know there’s some way to get a copy without having to wait so long for the IRS to send them-I’m homeless and scared I want someone to help me right now! 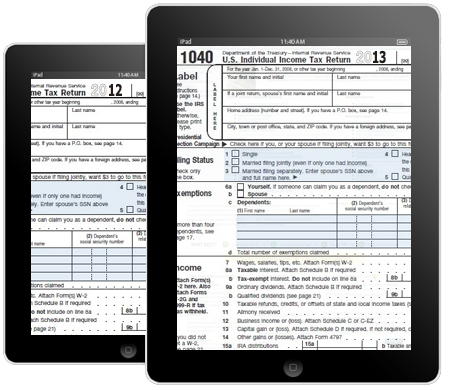 Is there any way I can get a copy past tax return and the help that I need? Situation: I’m a grad student who is detailed, studious, and organized. But yesterday my computer suddenly crashed with a virus and now I have no access to my copy tax returns I filed and saved electronically! I need my financial documents for the bar exam, for my own recordkeeping, and the new lease application that’s due tomorrow! Help! Where can I go to ask for help to get a copy old tax return at 3AM in the morning?